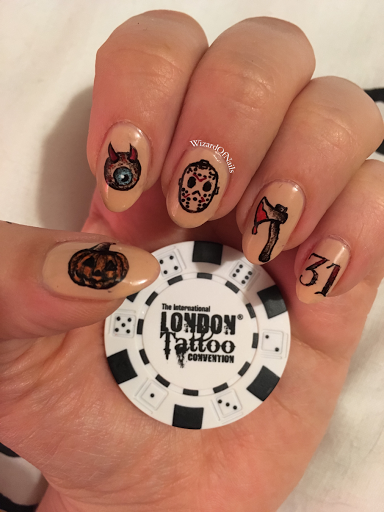 My annual tattoo nails for the London Tattoo Convention. Decided to paint Friday the 13th flash tattoo nails this time. Including my Jason mask which is one of the many Friday the 13th tattoos I have.